﻿ Fusion Maia resort- All spa inclusive, Da Nang | FROM $371 - SAVE ON AGODA! "The big is cozy and big enough." Have a question for Fusion Maia resort- All spa inclusive? "This service is one of the best!" "Here is very professional staff, clean private beach, interesting food, original interior." "Breakfast in the hotel was good." Fusion Maia resort- All spa inclusive is an exclusive, 5-star resort with top-notch service and facilities. 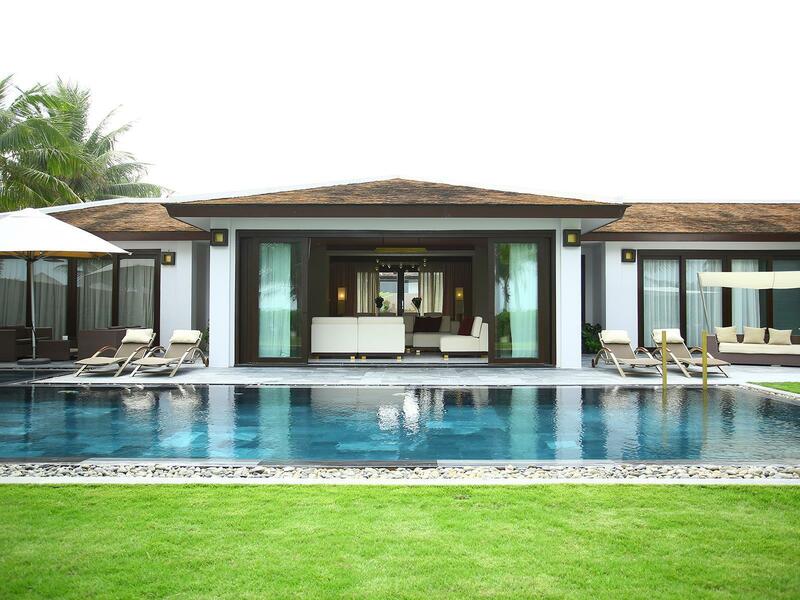 It is the first all-spa inclusive resort in Asia and the only place with private pool villas in the area. Ideally positioned 15 minutes from the airport and only 10 minutes from Da Nang city center, you will be able to discover the World Heritage town of Hoi An. Every room is well-equipped with modern facilities to ensure your best comfort and relaxation. The rooms feature iPod playlists, rain showers, and an outdoor balcony. All spa treatments are included in the room rate and breakfast can be served at any time and place. If you are looking for a perfect spa vacation, Fusion Maia resort- All spa inclusive is the answer for you. "The hotel is beautiful and the facilities are amazing." Please note that there are complimentary shuttle bus to Hoi An and complimentary bicycles at Fusion Lounge to explore the old town. All spa treatments are included in the rate. Please contact the property to book in advance. Breakfast is served upon request at any time. Baby cot is available at no additional charge upon request and is subject to availability. Children under 6 years old stay for free if using existing bed. Meals are not included. Children 6-11 years old will be charged USD 23.1 for breakfast when using existing bed. Children 6-11 years old will be charged USD 80.85 per child per night with extra bed and breakfast provided. Children 12-15 years old must use an extra bed at USD 80.85 including breakfast, or USD 138.6 including breakfast and spa treatment. Children 16 years and over are considered as adults. Maximum children allowed per room is 2 if using existing bed with breakfast included. Baby cot is available for children under 3 years old. Maximum 2 children under 6 years old will receive breakfast free of charge if using existing bed. Baby cot is available at no additional charge for children under 3 years old and is subject to availability. Other food and beverages will be charged as consumption at the standard rates. There is construction underway near the property from August 1, 2018 to February 29, 2020. For further queries, please contact the property directly. The hotel is very near airport, 15 min drive The room is very spacious with private pool. The bed is very comfortable, we ask a harder pillow, hotel make it the next day. The spa is excellent but need to book in advance as it usually full. The pool, beach, gym all is excellent. The staff is very friendly, they try best to serve you and respond quickly. One negative point is the food in the hotel restaurant is much more expensive than outside, I think is 7-8x more expensive. We try to go out for dinner, but all restaurants are not in walking distance but need to take taxi. Staff were friendly and helpful. Great location to access different attractions. Lived at the one-bedroom pool villa which was nice, but seems slightly bit worn out. Would be better if they would add some in-room aroma, which may also help prevent some bugs. They have a nice weekly schedule of activities - free to join. They have 24-hour breakfast which was perfect for those who don't want to wake up so early or even may want to have "breakfast" food in the afternoon. Last but not least, the spa, with great variety of different massages/spa experiences. Overall, value for money and definitely recommended for anyone planning to visit Da Nang. We greatly appreciate the time you have taken to share your experience with our resort. What a pleasure to hear you did loved our weekly Natural Living Program activities, the breakfast anytime anywhere concept, the variety of spa option. Appreciate the feedback for ongoing improvements. We do hope to have the privilege to welcome you again. "Hen gap lai"
Stayed at Fusion Maia in Da Nang and it is amazing! !cant recommend it enough. The staff are extremely nice, thoughtful and helpful. They sole aim sounds to pamper you so that you have an enjoyable and relaxing time. Things like to go to the spa everyones been given linen bathrobes, a spa bag in the rooms so that you are most comfortable. They have kept umbrellas in the room. The TV can be turned in such a way that you can enjoy it from the bed and also turn towards the bathroom and see it from the bath tub! !how cool is that! Icing on the cake was all guests have a personal hotel rep who speaks with you everyday checking on anything you need... Included in the room is 2 spa treatments per day. The spa is amazing and one definitely feels pampered!! The staff were extremely well informed. We had some dietary requirements and anytime we went ,be it breakfas,lunch or dinner the staff would know your room,name and also your dietary requirements. Vietnamese being the local lanuage they wrote our dietary needs in chits in Vietnamese and their recommendations of food and drinks to try..they even booked a table in the local restaurant . Absolutely loved it. The seating area with lounges overlooking the sea was my absolute favourite. Highly recommend fusion maia to anyone who wants a great time.hospitality at its best..
Super happy to get your review which has served a strong motivation for the team! We are glad that our service contributed to your enjoyment and convenience during the stay. Please let us have a chance to welcome your patronage as soon as possible! We are here to make your stay! It's conveniently located (20 min from the airport, 30 min from Intercontinental - a must have lunch/dinner visit - 40 min from Hoi An, in proximity of other nice hotels, where you can have some food for a change), clean, with extremely nice and professional staff. Food is good, though might get boring after a couple of days. Spa treatments are very good, massages are better than other types. One thing they don't tell you (I visited the place in Dec 2018) is that there's a huge construction site next door: the noise may not be a great issue (though if you come for some silence, it will be a nuisance), but the dust was a huge one. Thank you for your kind review about your stay with us. We are delighted to know that you enjoyed the spa so much. New hotels and resorts are springing up all over the fast developing region in Da Nang. It is with regret to hear of the inconvenience related to the project currently underway on the plot next to ours which is out of our control. We do our best to ensure that this does not affect our guests’ experience in any way. We had a wonderful stay at Fusion Maia. Everything from the staff, the quality of service, the facilities and location were of a very high level. Exceptional service definetely worth. We will come back again for sure ! Delighted to know that you had a wonderful experience at Fusion home. Your comments make us so proud of our Fusion family. Please think of us when you would like to get away from your daily busy life. We are always ready to make your stay. See you soon! It is a true pleasure reading your review! Thank you for taking the time to write about your stay with us. Glad to read that you enjoyed your private pool, spa and the food at the restaurant. Sorry for the cleaning room issue. Please be assured that it definitely not our standards. We passed your feedback to Housekeeping team for ongoing improvements. Once again, thank you very much, we would love to welcome you again soon! Big thank you for sharing your Fusion experience and feeling. So happy to read that you love the diversity of the spa menu and had enjoyed our spa treatment. Sending to you all the best wish from Fusion family and hope that we would have a chance to welcome you back for the Fourth time staying with us! Excellent customer service, all staff are so helpful and kind. Free quality SPA (Highly recommend hot bamboo) and activities class like yoga and workouts. The room is clean, nice designed, the public area are so relaxing, you can choose to have your meal anywhere anytime, including a almost private area on the My he beach. It is a true pleasure reading your review! 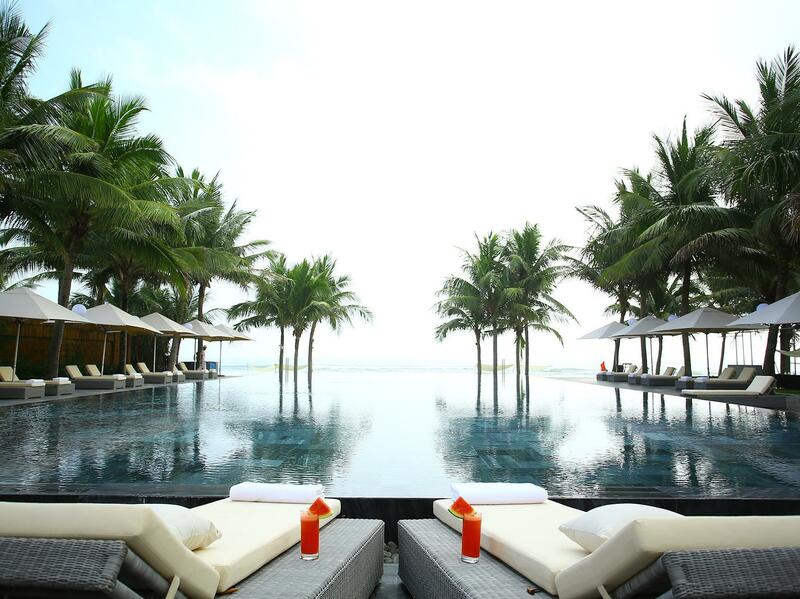 It makes us very proud that you have chosen our resort as your preferred place to stay in Danang. Happy to read that you enjoyed the SPA - which is included in the room rate very much. Your review serves a great motivation for us towards continuing our efforts to exceed guest expectation and provide quality service. Looking forward to welcoming you again soon! i was assigned to a room slightly bigger but with too much noise from the construction site next to it. i mentioned it at breakfast and the fusionista fixed it right away. moved us to a room slightly smaller but quieter. we liked it better there. we also loved the daily massages and the pool in the villa and by the beach. i loved your cocktails. the breakfast buffet was great. however, i wouldn’t recommend the seafood buffet. too expensive for what they provided. we were told it was buffet but bbq staff were too slow to catch up the demand. Thank you for your recent visit to Fusion Maia Da Nang and leaves us your feedback for improvement. While we are delighted that you enjoyed the spa, the private pool in each villa, the breakfast anytime anywhere concept. It is with regret to hear of the inconvenience relating to the neighboring building work which is out of our control. Please do not hesitate to contact our management team during your stay if any concerns, who will do their best to continue to reduce disruption and disturbance as far as possible. Wish you all the best and looking forward to welcoming you again soon to your Fusion home! The room was clean and quiet comfortable I was sick but give me a corresponding kindly.It was very kind of you. Warm thanks for your amazing review which brings us more motivation and fire on the journey of exceeding the guest expectations. Hope you will get better very soon. “Hen Gap Lai” as we are saying here, “See you soon”. The big is cozy and big enough. You can enjoy 2 treatments per day. We stayed for 1 night and enjoyed 3 treatments in total. They have free shuttle to Hoi An and very convenient to town as well. The rooms are nice. The staff are very helpful. The spa is fair. We found a cockroach before checkout. Thank you for your review. Our apologies for cockroach in your villa, we understand that this is unpleasant. We will be more careful in the future and remove insects from the room or the pool area as well. Hope that we will have the chance to welcome you again for a more relaxing stay. The resort went above and beyond in making sure my wedding weekend was a dream come true for me and my guests. Absolutely wondering attention to detail and everything was beautifully set up. From the professional photographer to the sunset beach BBQ. I loved every minute of the holiday! Will be back for sure! Dear Josie, We appreciated so much to read how much you loved every moment of the holiday. It was our pleasure to beside you during your wedding weekend. We are thankful that you gave us the privilege to serve and offer you the perfect experience holiday. We look forward to welcoming you back to us soon. Guest Service Manager. We love this place... the best bed i ever slept. The pool villas are great and gives u the privacy. The mainpool is fantastic and so the beach. Great breakfast too... nothing to say more... book and enjoy. Second time at this resort and definitely won't be the last! The initial draw was of course the daily spa treatment included and the pool villa itself, but the food, the staff and the daily wellness classes altogether made it a perfect experience! For those who believe in holistic energy healing, Fusion Maia has 8 Reiki masters and there are various energy healing options in the spa menu! Definitely have a try! Tips: Free shuttle service to Hoi An so take advantage of that Breakfast can be served by the beach at request Do join some breathing and yoga classes by the beach! Rooms are very nice and the hotel tried to be environmentally responsible as possible without sacrificing comfort. The villa room is spacious and has a private swimming pool. Decorated very minimalist and tasteful yet warm. Even the bathroom is spacious. Morning breakfast is very good, not to be missed. Beautiful environment and wonderful resort, staff are friendly and helpful. The spa booking was a bit slow and quite full, it's better to book all your spa once arrived, but they managed to arrange spa for us after check-out on the last day. Breakfast anywhere is excellent and we enjoyed it at the beach, must try. The quality of shower gel and 2 in 1 shampoo are the only thing that can be improved. This is a nice beachfront resort located outside of Da Nang city center. Direct beach access and pool area are very nice. Pool villa is nice. Staff are friendly and helpful. Food is OK. Spa service, although all inclusive, is OK but not great. I have stayed in different hotels and resort in da nang , first night in Novotel , then fusion Maia , and thirdly , fusion suites , I preferred fusion Maia , I checked in at 11am , the staff showed us the villa, and I went swimming , the beach was in front of the infinity pool , the beach was very clean as I saw their staff picked up all the rubbishes in the sands , very relaxing In the next day , we enjoyed the breakfast near the poolside ... also the spa was so nice , the signature spa was very good ! It's totally worth it .... but there's nth to do or go in da nang , so I think having meal in the resorts or others hotels are cheaper and fresher. It was definitely our happiness to see how much you enjoyed your stay with us. Thank you so much for taking the time to give us such these beautiful comment. We appreciated this so much. Hope to welcome you back some days in the nearest future.